I have just learned that someone stole a copy of my novel from a local shop. I haven’t yet decided whether I am appalled by this or flattered that anyone thought it worth stealing. Let’s move as far as possible – at least in terms of mainland Europe – to the west of the continent. 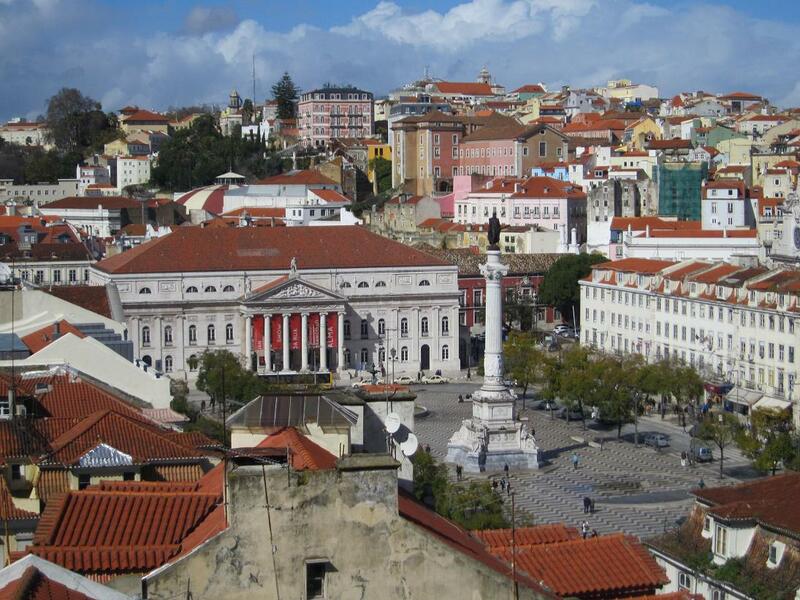 Lisbon, Europe’s most westerly capital city has a rich and varied history; once an outpost of the Roman Empire, then invaded by tribes such as the Alan and Visigoths, conquered by the Moors in the eighth century, subsumed into Spain four centuries later. Portugal gained independence in 1640 and finally became a republic in 1910. So where to start? 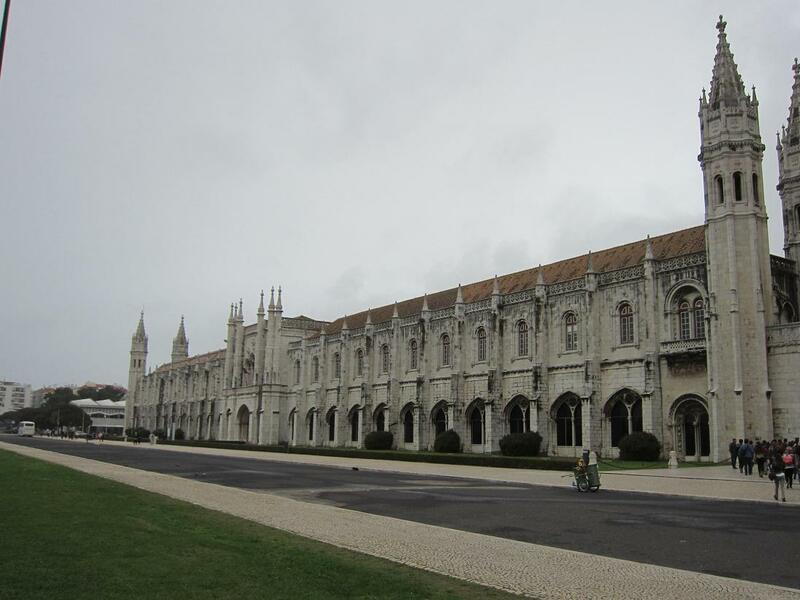 Well, anywhere you like, really, but if you want a feel of the history of Lisbon (and indeed, Portugal), try the Mosteiro dos Jerónimos and the Museu Nacional de Arte Antiga. The former is something of a shrine to Portuguese national identity and houses the tomb of the legendary navigator Vasco de Gama among many other notable figures. While the monastery is large and imposing, it looks tiny by comparison with the national art gallery. 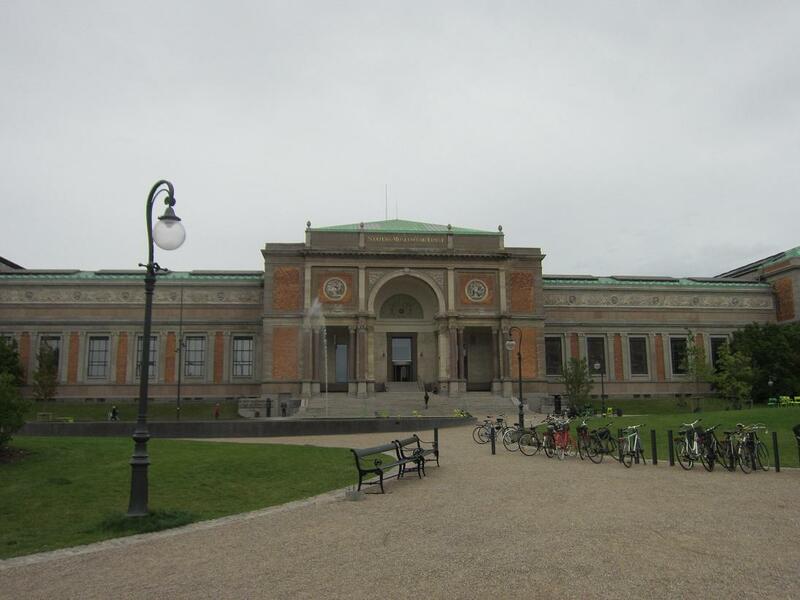 The latter has a vast and wide-ranging collection of treasures, so if you want to take a comprehensive look at what the museum has to offer, it is wise to set aside several hours. If you are looking for a quicker visit, make sure not to miss the big prize, the extraordinary three-panelled Temptations of St Anthony by Hieronymous Bosch. Mosteiro dos Jerónimos provides a glimpse of the Manueline architectural style, something even more evident when you see the defensive tower at Belém (Torre de Belém). The style somehow encompasses Moorish, Renaissance and Gothic elements while still managing to look stylish. 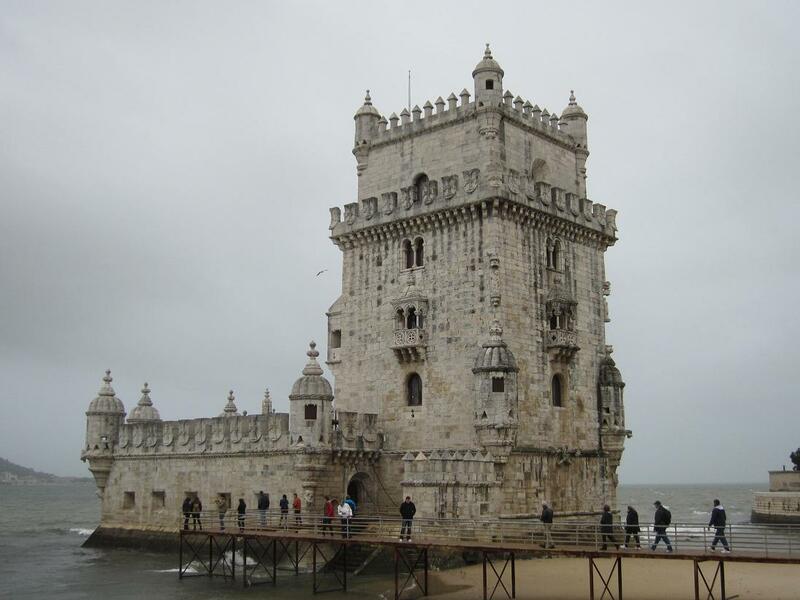 Originally, the tower stood on an island in the River Tejo, but is now on the land that has been reclaimed from the river. Belém, incidentally, means ‘Bethlehem’ as a chapel, subsequently taken over by the monastery, was dedicated to St Mary of Bethlehem. 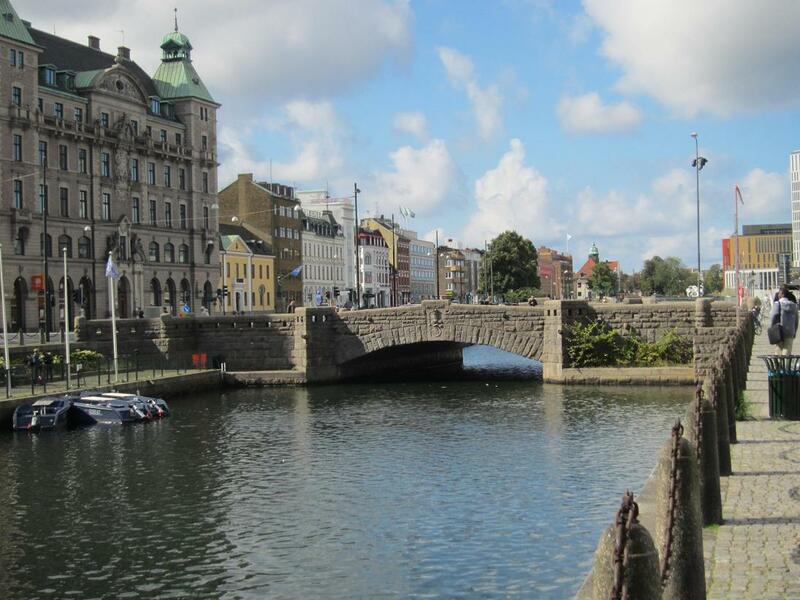 As with any city, the best way to explore is on foot. 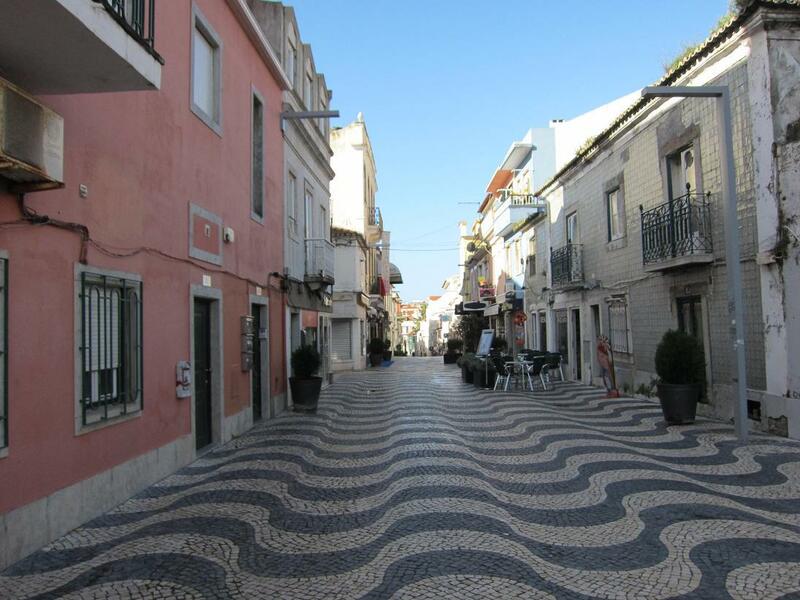 Beware, though, that Lisbon is built on hills and some of them are pretty steep. Help is at hand, however; Lisbon is renowned for its trams and there are many little trams and funiculars to take the strain of aching legs. The city also has a metro system that covers most of the central area, though the west of the city is not so well served. An easy way to enjoy an aerial view of the city is to use the Elevador de Santa Justa, a Neo-Gothic lift that was designed by one Raoul Mesnier de Ponsard (don’t let anyone kid you that it was by Gustav Eiffel; de Ponsard was, however, one of the Frenchman’s pupils). 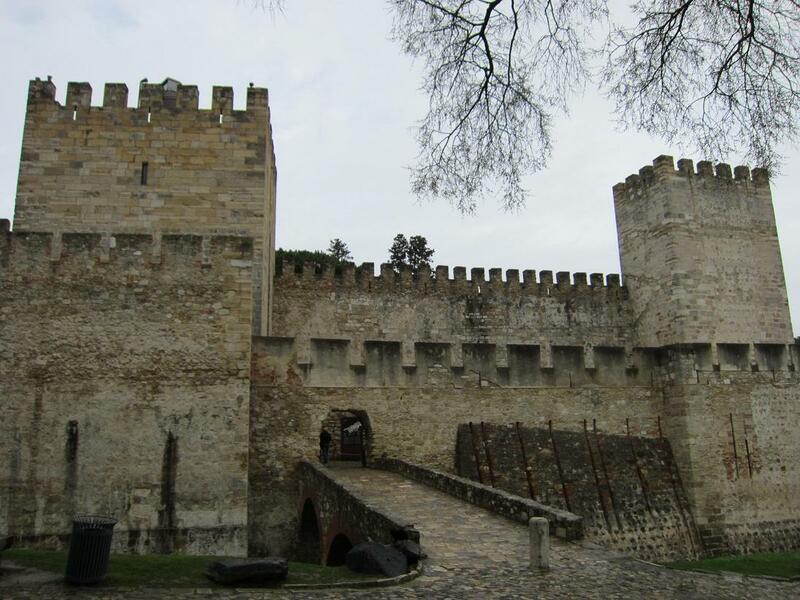 The harder way is to tramp up to the battlements of the Castelo de Sáo Jorge, which retains the appearance of a Moorish fort although archaeological finds reveal settlements many centuries earlier. There is plenty of history to see and learn here, too, as well as a very good restaurant that provides stunning views if you can find a seat outside. 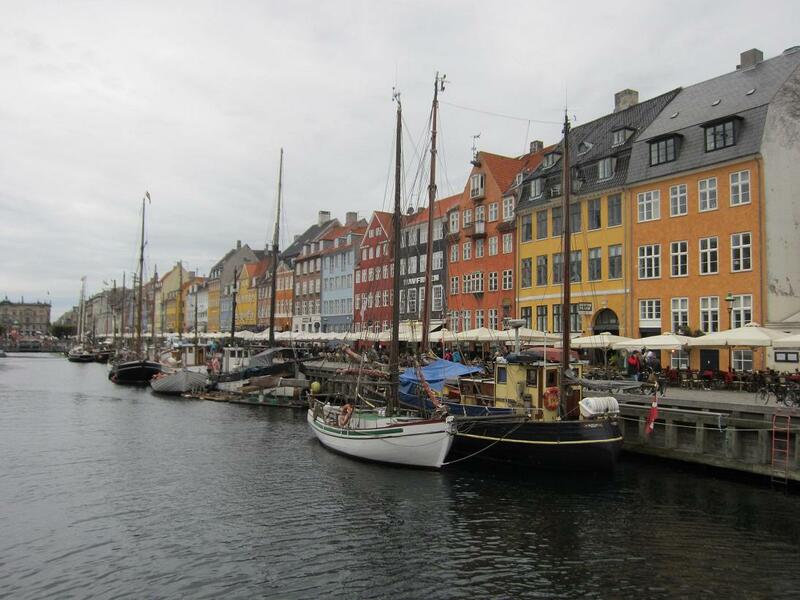 If you are staying for more than a few days, there are plenty of places for a quick trip. Trains run along the coast to the towns of Estoril and Cascais, departing from Lisbon’s Cais do Sodre, which is by the riverside. While the former has something of the tourist beach resort about it, the latter has greater charms and it is easy enough to visit both by the simple expedient of walking along the esplanade. One small point to note; if it’s a windy day and the tide is coming in, be careful you don’t get a quick drenching. Another trip worth taking is to the Unesco World Heritage site of Sintra. This is also a straightforward trip on a train, this time from Rossio station (readers in Britain may not be altogether stunned to learn that train travel is considerably cheaper in Portugal than in the UK). 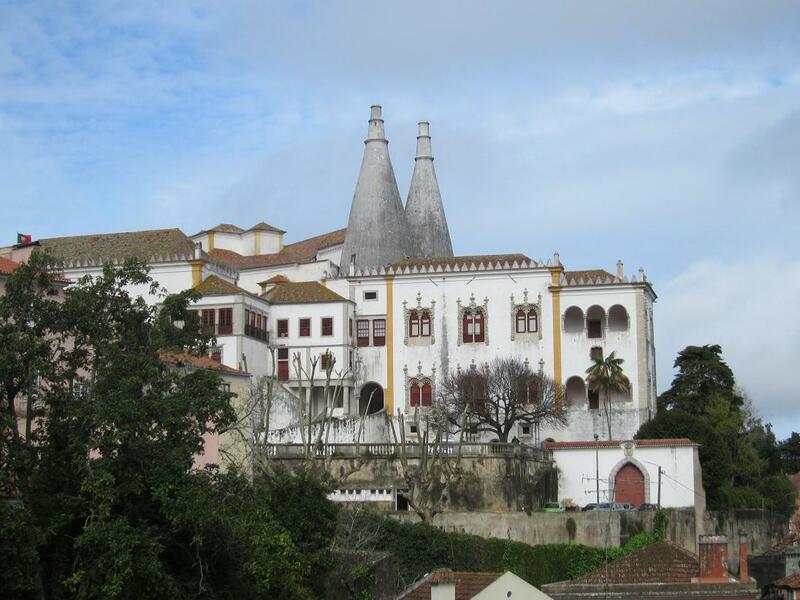 Sintra has myriad palaces and was the summer retreat for the country’s monarchy. As is typical of this part of the world, expect to see an eclectic mix of architecture, with Moorish styles mingling with Baroque and Neo-classical. Portugal is, of course, noted for its wine and there is plenty to chose from. It’s easy enough to get decent quality wine without paying a fortune, though here comes another word of caution. Port is a drink for drinking at home, usually on special occasions. While good restaurants may stock port, bars generally do not. If they do, it is likely to be pretty dismal stuff. All of which brings us to beer. Not much to see here, is the general feeling. There are two main Portuguese beers, Super Bock and Sagres, neither of which is up to much. Rather more palatable, if you can find it, is the Super Bock stout. It is not exactly bursting with flavour, but it is a pleasant enough stout with some nice roasted hints and infinitely preferable to the cold and fizzy lagers. If you are travelling into Lisbon from the airport, you may well spot the football stadiums of Sporting and Benfica. 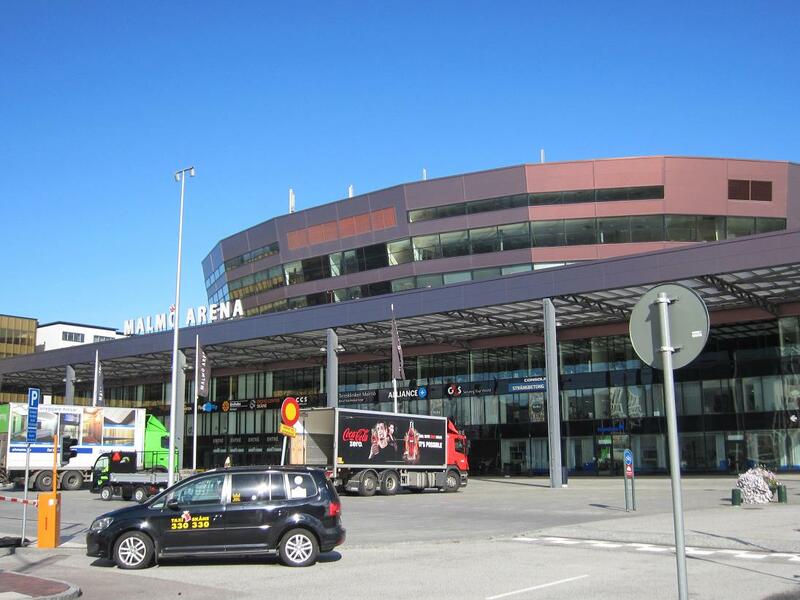 Both are relatively new, built for the 2004 European Championships. The two grounds are within around a mile of each other and it’s simple enough to work out which is which, Sporting’s colours being green and white, while Benfica are red. Aesthetically, Benfica’s Estádio de Luz wins out. At least there are some soothing curves to soften its appearance while Sporting’s Estádio José Alvalade looks like the biscuit tin of an especially large giant. Situated as it is, Lisbon and its coast enjoys mild weather throughout the year, although it can get rather wet in the winter months. Summers are, naturally, rather hot, so spring and autumn months can be a good time to visit, with less tourist trade and a pleasant climate. 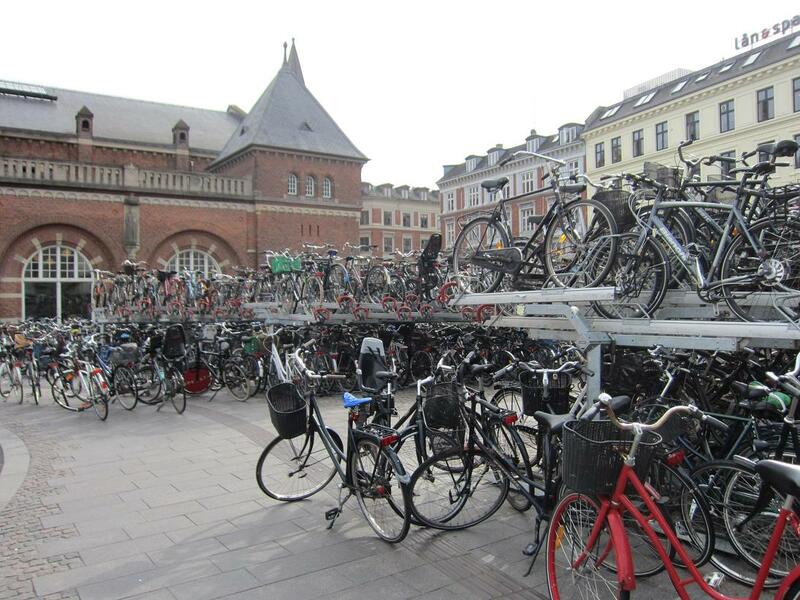 Even better, there should be no lack of things to do for all types from culture addicts to the laziest of lazybones. 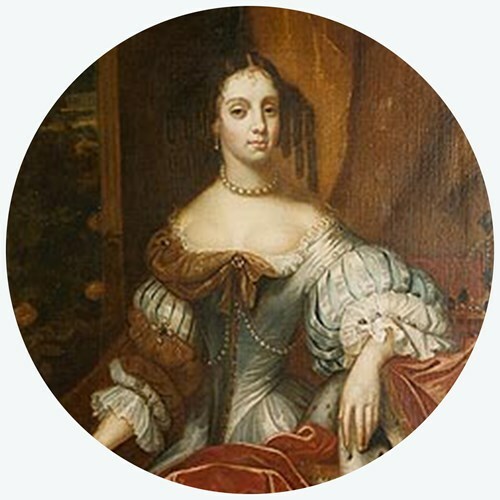 A footnote: while it would be stretching a point to suggest that Catherine of Braganza, the queen consort of Charles II, introduced tea-drinking to Britain, she certainly helped to speed its popularity. When she arrived into Portsmouth in 1662, she asked for a cup of tea, a drink that had long been available in Portugal through the country’s trade with the East. Unsurprisingly, nobody was able to fulfil the queen’s request and she was given a cup of ale, a rather more traditional British drink. Equally unsurprisingly, she was not entirely enthused by it and courtiers soon ensured that Catherine was provided with a regular supply of tea shipped from her native land. The taste for tea spread throughout the royal court and the craze spread from there. So on behalf of the tea drinkers of this land, a belated thank you to Catherine of Braganza. 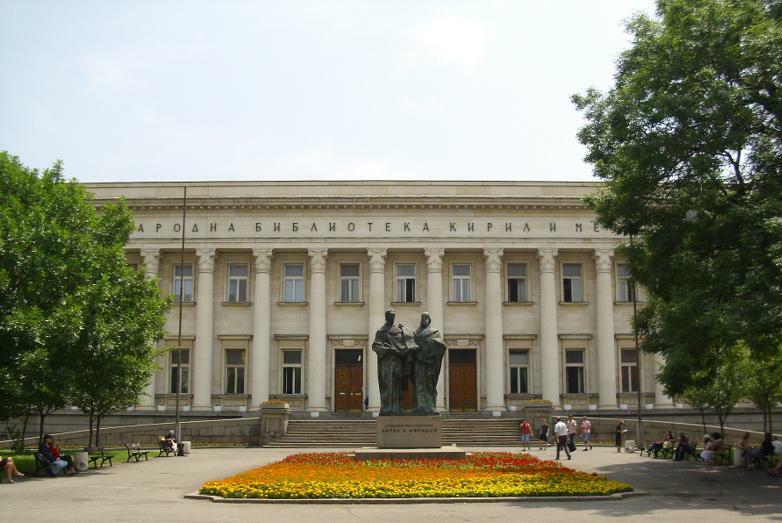 A visit to the National Museum of Serbia in Belgrade turned out to be something of a disappointment, as there were extensive renovation works taking place at the time and much of the museum was closed to the public. There was, however, some compensation to be found as one of the few parts of the museum that remained open was dedicated to an exhibition of work by Katarina Ivanović. 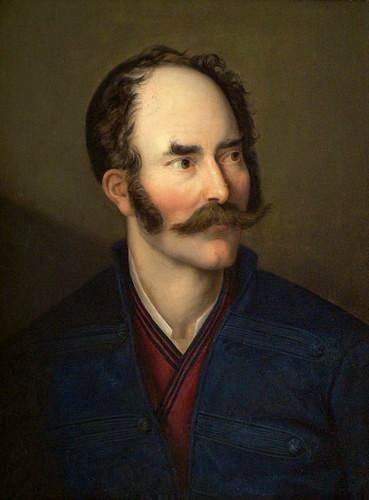 Ivanović was born in 1811 in Veszprém, now in Hungary but then part of the Austrian Empire. Her family were ethnic Serbs and she grew up in the city of Székesfehérvár. A talented artist from her youth, she studied in Budapest, but – remarkably for a woman of that era – also studied at the famous Academy of Fine Arts in Vienna. She was fortunate enough to find a wealthy patron, one Baroness Czacki, who funded her move to Vienna in 1835. In 1840, Ivanović left Vienna to study at the Munich Academy, possibly funded by her patron. 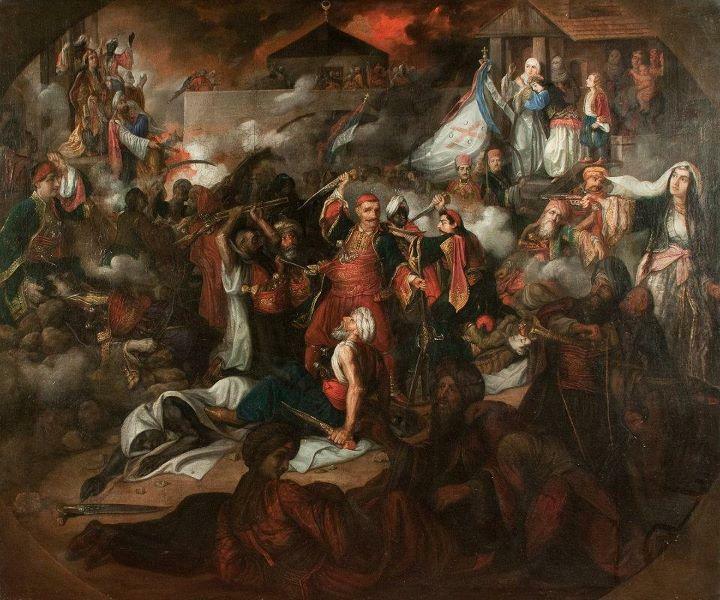 It was here that she read about Serbian history and was inspired to paint The Conquest of Belgrade, an oil painting depicting the city’s capture by Serbian revolutionaries in 1806. 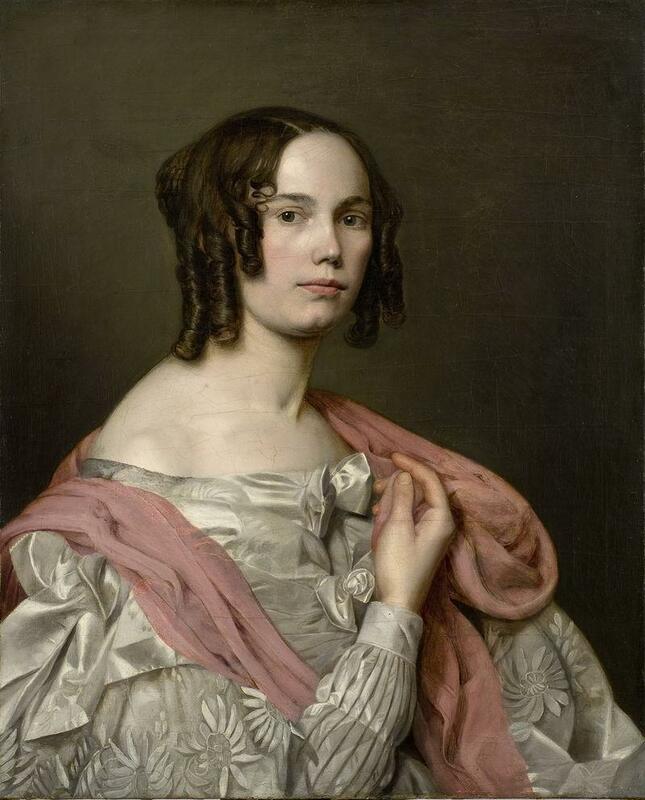 While she travelled extensively and in fact spent little time in Serbia, she worked in Belgrade for two years during the 1840s and it was here that she painted the work. She was, though, best known as a portrait painter and her best-known work, a self portrait, resides permanently at the National Museum of Serbia along with The Conquest of Belgrade. 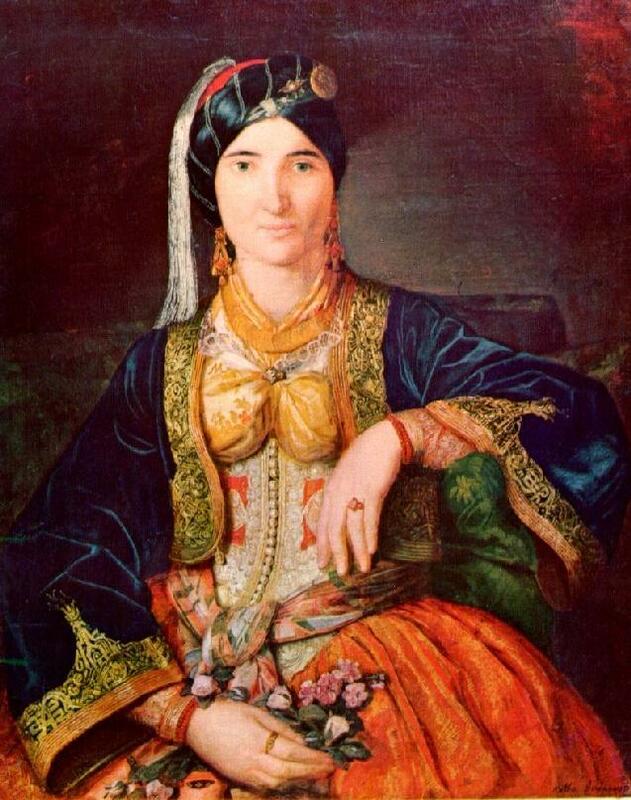 She painted a number of portraits of notable Serbian characters including the Princess Consort Persida Nenadović and Simeon “Sima” Milutinović (aka Sarajlija, “The Sarajevan”), a Serb poet, historian, diplomat and adventurer. By the 1870s, she was producing few works and although there are suggestions that she was a largely forgotten figure by this time, she must have retained some influential admirers as she was elected an honorary member of the Serbian Learned Society, later to become the Serbian Royal Academy and ultimately the Serbian Academy of Sciences and Arts. Katarina Ivanović returned to Székesfehérvár in later life and died in that city in 1882. Her remains were moved to Belgrade in 1967. This is somewhat off-topic and it’s fair to say that travel in Eastern Europe isn’t involved (though it does get a little mention here and there). I have had my first novel published this year and while I have no intention of parking every single one of the 57 chapters on these pages, there’s no harm in providing a little sampler. Here, then, is chapter one. It was just after three o’clock when Vince Kingmyle arrived back at his office. It had, he reflected, been a worthwhile lunch break at the golf club. He’d had a pleasant lunch; he’d booked the course for the party of tourists that were due in a couple of weeks; he’d also spent a worthwhile hour talking to that new member, Mike. Mike seemed like a good fellow, thought Vince. The young man had certainly seemed impressed by the brief biography Vince had given him and had appeared eager to hear the story of Vince’s promising football career, so cruelly terminated by injury, and the subsequent success that had followed during his time in the Civil Service and now as a respected local businessman. He also had the impression that Mike would be keen to hear more about the many golf course Vince had played. Vince frowned for a moment as he thought of George McDougall. He’d been in the middle of describing the majestic round he’d played at the Celtic Manor course when that old duffer had butted in. “You’re sure one remarkable man, Vince,” George had said. “What do you mean?” Vince had replied, somewhat tetchily. “Well, golfer, time traveller,” George went on, a little self-satisfied smirk on his lips. Vince had glared at the old fool as he waddled back to his seat with his glass of malt. He found George irritating, but had regained his composure and continued his story. “Jealous as hell,” Vince thought, as he paused at the front door of the office. He took out his handkerchief and gave the sign a little polish. It read ‘Golf King’, the letters of the two words intersected by a large ‘V’. Satisfied with its appearance, he went in. “Good lunch?” asked Krystyna Czerniatynska as he strode to his desk. Krystyna frowned quizzically, but merely pointed across the room. “And those as well,” she said. Vince looked over at three cardboard boxes. “And they are?” he asked. Krystyna glanced at her colleague, Anne, and shook her head. Moments later, Vince was back, wearing the shirt. He walked in front of the two women, performing a small pirouette as he did so. “Stylish, no?” he asked. “Yeah, it’s okay,” Anne mumbled. Vince gave her a sharp look. “Yes, good, very smart,” Krystyna said, hurriedly. “We are literally on fire,” Vince said loudly. Krystyna winced. It was a mental image that was disturbing. “Perfect,” said Vince. 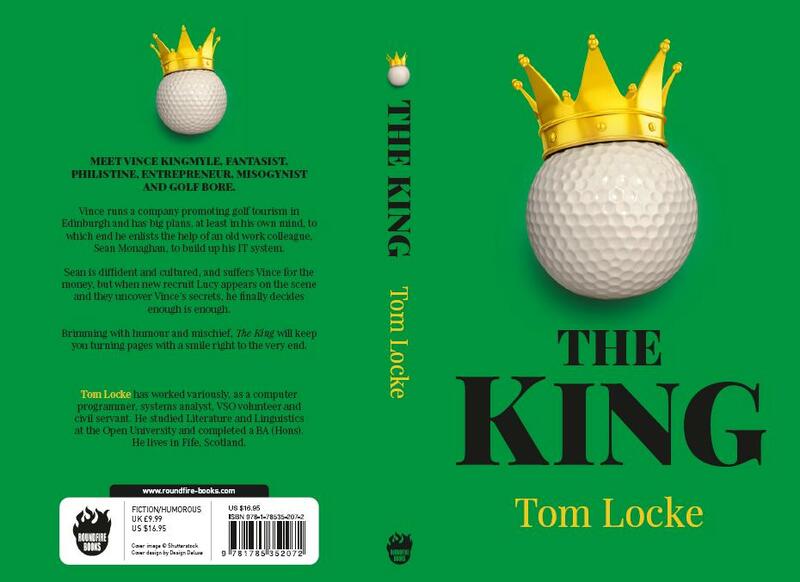 “Everyone who books onto a Golf King tour gets one of these to keep. Is that not such a good promotion? It’s so brilliant, I don’t know why I never thought of it before. It’s advertising as well, you see? People will wear these when they get home, they’ll wear them at their golf clubs and people will see the ‘V’ logo and…” He tailed off. Krystyna was staring at him. Krystyna scampered from behind her desk and grabbed a handful of shirts from the open box as Vince gawped at her in amazement. “Oh, my God,” she said. Krystyna pointed to the lettering that crossed the distinctive ‘V’ on the shirt’s badge. The logo read ‘KING OF SWINE’. Vince’s mouth opened, but nothing, other than one or two flecks of spittle, came out. He gaped like a stranded fish for several seconds before diving back into the box and pulling out more shirts. He pulled off the shirt he was wearing and surveyed the lettering. Anne let out a snigger at the sight of her boss’s less than athletic torso, but fortunately for her, Vince was too preoccupied to hear it. Anne and Krystyna exchanged glances and Vince, hands on hips and resembling a badly designed teapot, waited for an answer. Krystyna took the plunge. “You did,” she said. “No, I did not say that,” said Krystyna in measured tones. “The manufacturers, they must have got it wrong.” Vince continued to stare at her before realising his somewhat undignified state of undress and snatching his own shirt from his desk and putting it back on. Anne, meanwhile, had put her jacket on and Vince looked at her. “Where are you going?” he asked. “Four weeks, I think,” Krystyna told him. Vince spun his chair around and unlocked a cupboard. He took out a red folder, which was full of email correspondence. Vince, to Krystyna’s secret fury, printed out every email that he received. He then placed the print into a clear plastic pocket and put them in a folder. The cupboard was packed with such folders. He thumbed through the pages and suddenly exclaimed “Ah, got it. Right here. Here we are, email order to Inventive Designs Ltd.” He read down the page and suddenly snapped the folder shut before Krystyna, who had appeared beside him, could see the document. “You found it…so it was the manufacturer?” she asked. Vince, who had hurriedly rammed the folder back into the cupboard, said, “Yes, yes, of course, idiots, morons.” He slammed the cupboard shut and locked it again. “Should I phone them?” Krystyna asked, tentatively. “But I should work until five,” Krystyna replied. Krystyna gave him a slightly sickly smile and walked slowly to the front door. She closed it quietly behind her and leant back against the wall for a second. Then she started to giggle. She found that she couldn’t stop giggling and had to grasp hold of a drainpipe to support herself. Her eyes had become moist and she felt tears beginning to trickle over her cheeks. She wiped her eyes, took a deep breath of air and walked towards her bus stop. In our occasional series about Scottish influence in Eastern Europe, it would be highly irregular to overlook the contribution of Charles Cameron, who was offered the position of court architect to Catherine II (‘Catherine the Great’) and whose designs provide a Classicist look in contrast to the prevailing Baroque style of the period. Cameron was, in fact, born in London in 1745, to Walter and Hannah Cameron. Walter was a Scottish builder and carpenter who had established himself in the English capital. The young Charles – possibly named in honour of the Jacobite prince – was apprenticed to his father and soon began to display considerable talent for design. In the 1760s, Charles Cameron travelled to Rome and undertook a detailed study of Roman baths. On his return to London, he published the snappily-titled The Baths of the Romans explained and illustrated, with the Restorations of Palladio corrected and improved. Despite its unwieldy title and somewhat esoteric nature, it seems likely that the book was instrumental in Cameron’s appointment to the Russian court. Certainly, his name was known around Europe and Catherine, eager to present Russia as a modern European country, scoured the continent for architects and designers to provide the expertise she desired. 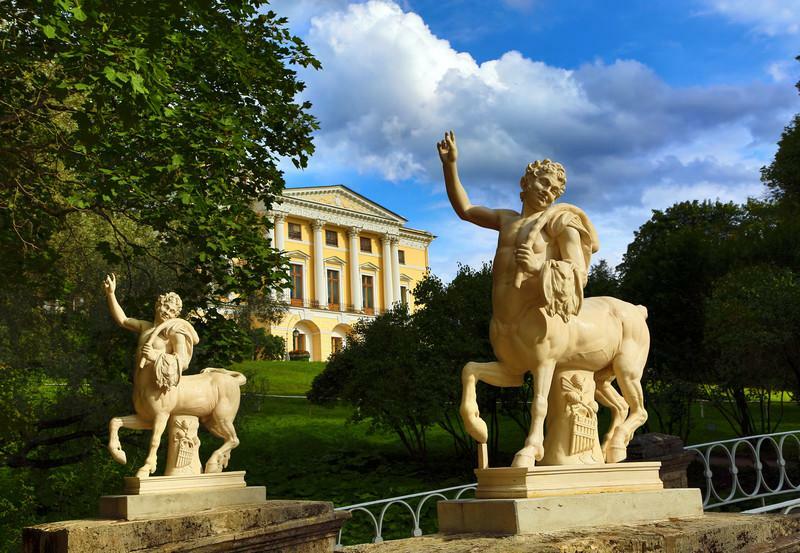 Cameron’s most notable works were the gallery that bears his name at the Catherine Palace and the Pavlovsk Palace, built for the son of Catherine the Great. 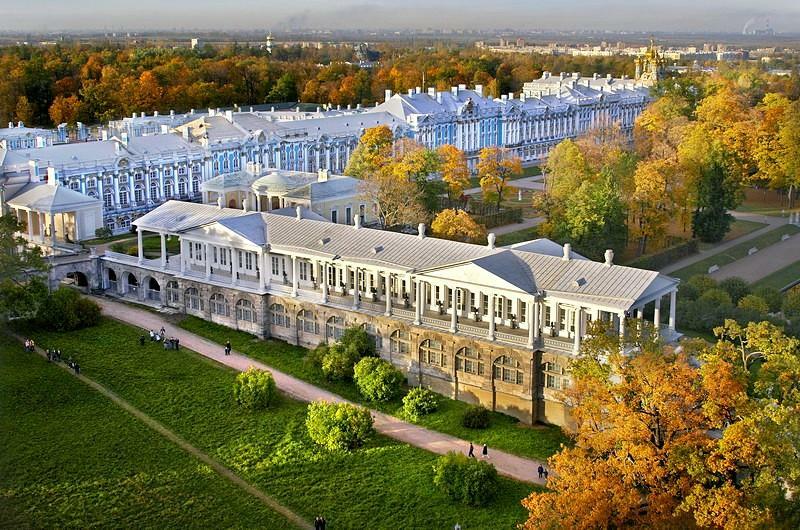 The Catherine Palace, incidentally, was built for the empress Catherine I, wife of Peter the Great. Catherine the Great preferred the Classical style to the Baroque and Cameron was the man to deliver. 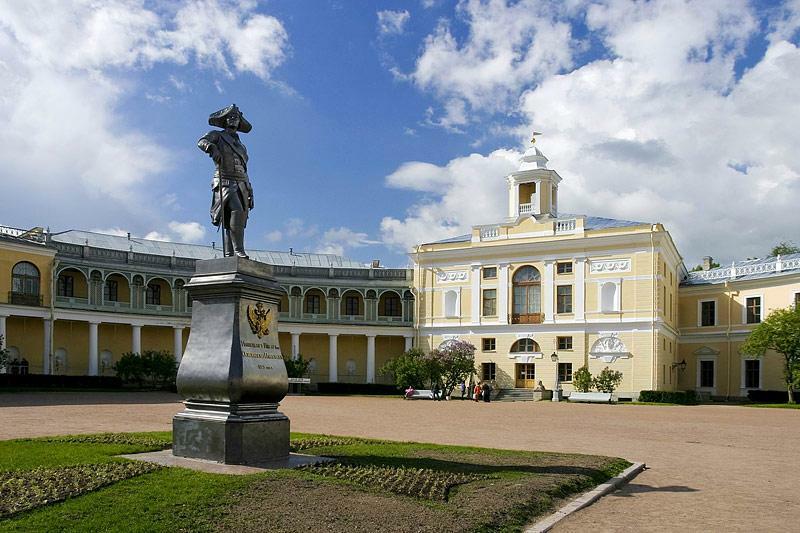 He redecorated the interior of the Rococo Catherine Palace before setting to work on the new gallery and its attendant park. 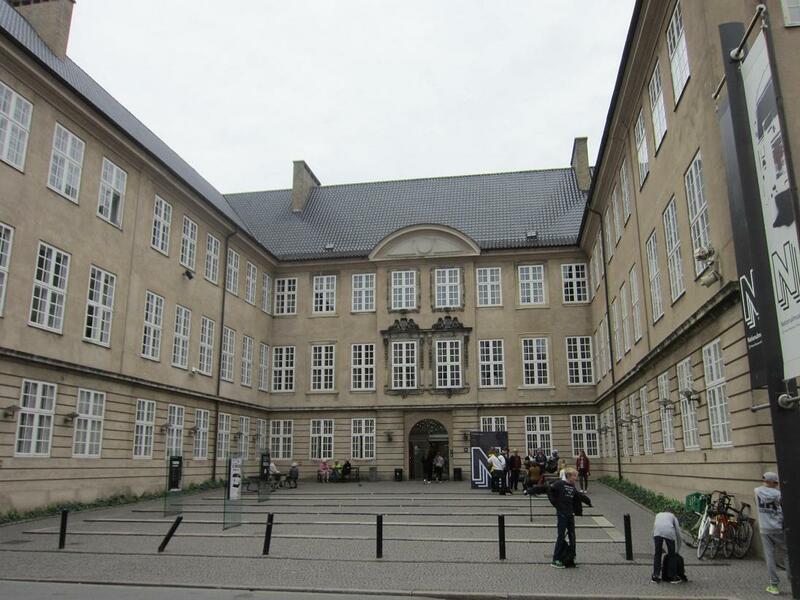 The gallery, with its myriad statues of poets and philosophers, became the favourite promenade of Catherine. Cameron also designed the nearby Sophia Ascension Cathedral. 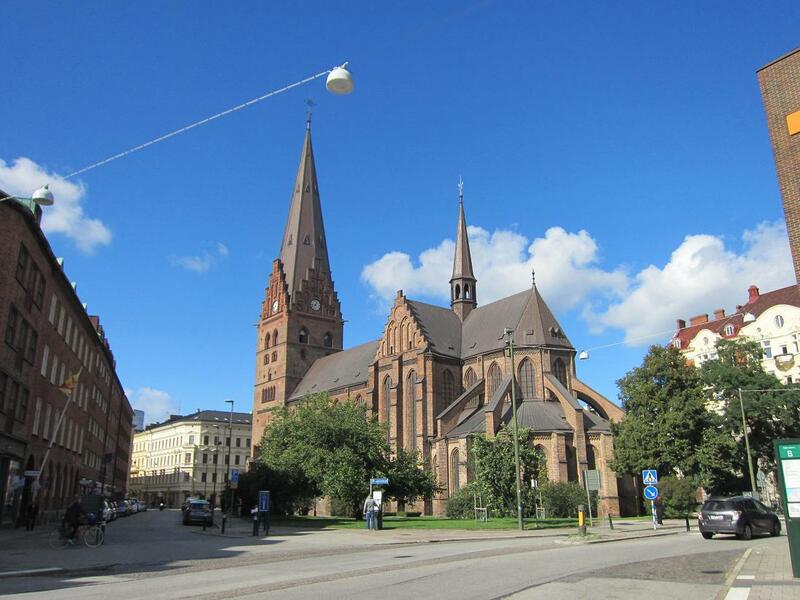 Catherine was eager to build a church that resembled the vast Hagia Sophia in Constantinople. 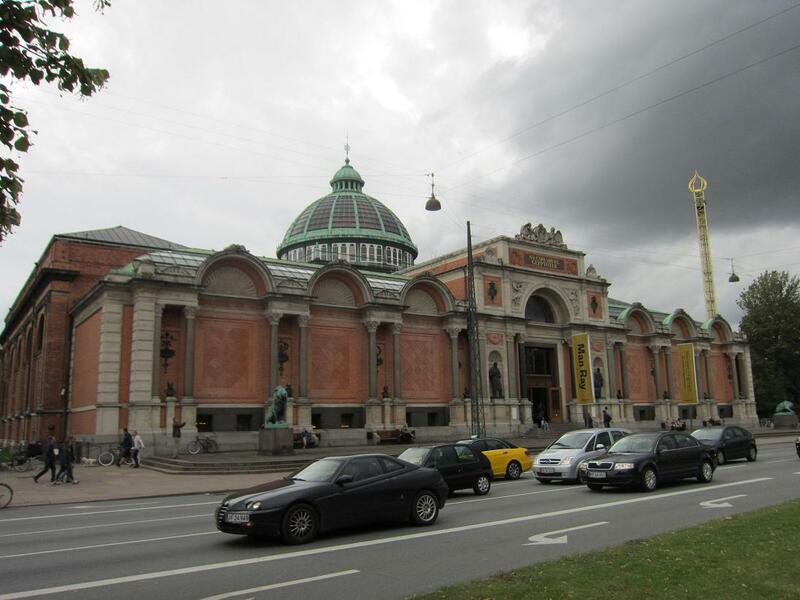 The architect was not familiar with the great Byzantine church and the result was more in his usual Classical style. 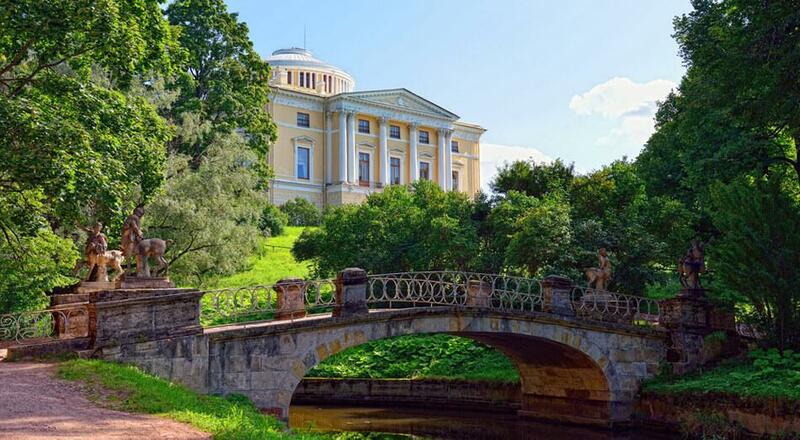 Ironically, it was the Pavlovsk Palace, perhaps Cameron’s most famous work, that led to his fall from favour. Cameron built the original palace but fell out with the emperor (Paul) and empress (Maria) over costs. Cameron was dismissed by the emperor in 1796. Paul’s successor, Alexander, was more well-disposed towards Cameron and the architect was reappointed as chief architect of the Russian Admiralty in 1801. 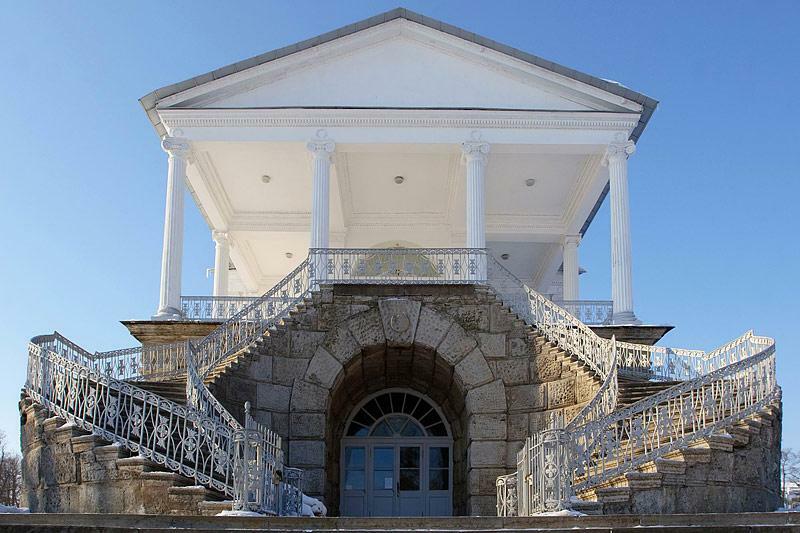 He also designed the Naval Hospital at Oranienbaum before retiring in 1805. Despite speaking no Russian and apparently having no Russian friends, he continued to live in Russia and died there in 1812, just before the invasion of Russia by Napoleon. Those who have read Tolstoy’s epic War and Peace will be familiar with Mikhail Kutuzov, the general widely acknowledged to have been responsible for repelling Napoleon’s invasion of Russia in 1812. Indeed, Kutuzov is treated with great respect in the novel, portrayed as a man of considerable wisdom and foresight. If Kutuzov is seen as a little overly sentimental at times, this trait is represented as a positive attribute. Mikhail Barclay de Tolly does not fare so well in Tolstoy’s work, being seen as indecisive and dithering. Barclay fell from favour during the campaign, being superseded as Commander-in-Chief by Kutuzov and resigning from the army soon afterwards. After Napoleon’s defeat, Barclay’s popularity grew and he was restored to the military, taking over from Kutuzov following the latter’s death in 1813. 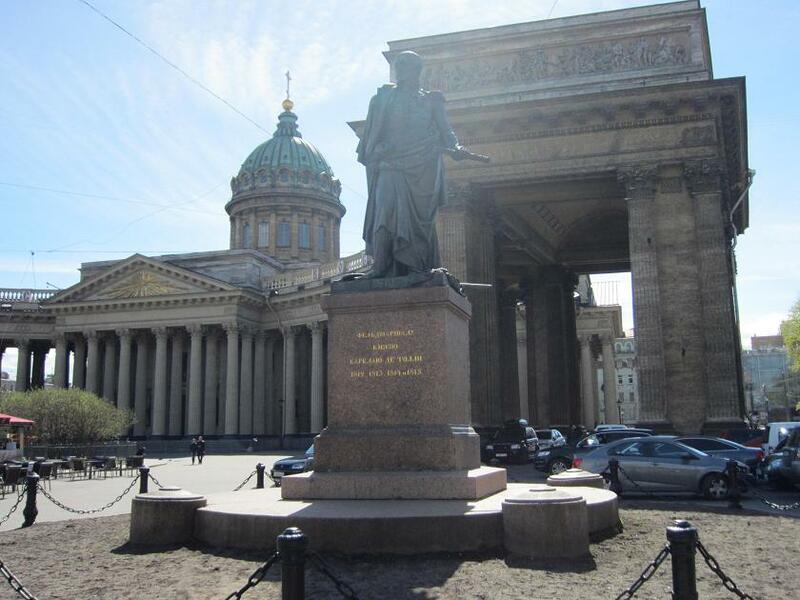 The two great leaders of the Napoleonic campaign, so often at odds with each other, now stand side by side outside the massive Kazan Cathedral in St Petersburg, on the city’s most famous street, Nevsky Prospekt. As regular readers of these notes will know, Duck Holiday is based in Scotland and is ever keen to investigate Scotland’s links with Eastern Europe. To claim that Mikhail Barclay de Tolly was a Scotsman would be stretching the truth more than a little. He was, however, a member of the noble Barclay clan from Aberdeenshire. There is some debate about his birthplace, but it is likely that he was born in what is now Lithuania and was raised in Livonia, which was then part of the Russian Empire and whose territory now straddles Latvia and Estonia. Barclay was a German-speaking descendant of a Scottish family that had settled in Livonia in the 17th century. His grandfather was a mayor of Riga and his father was admitted into the ranks of the Russian nobility. The young Barclay joined the Imperial Russian army and saw his first action in the 1787-1791 Russo-Turkish war and the concurrent war against Sweden. After distinguishing himself in the Polish campaign of 1794, Barclay rose through the ranks rapidly and became a major-general in 1799. 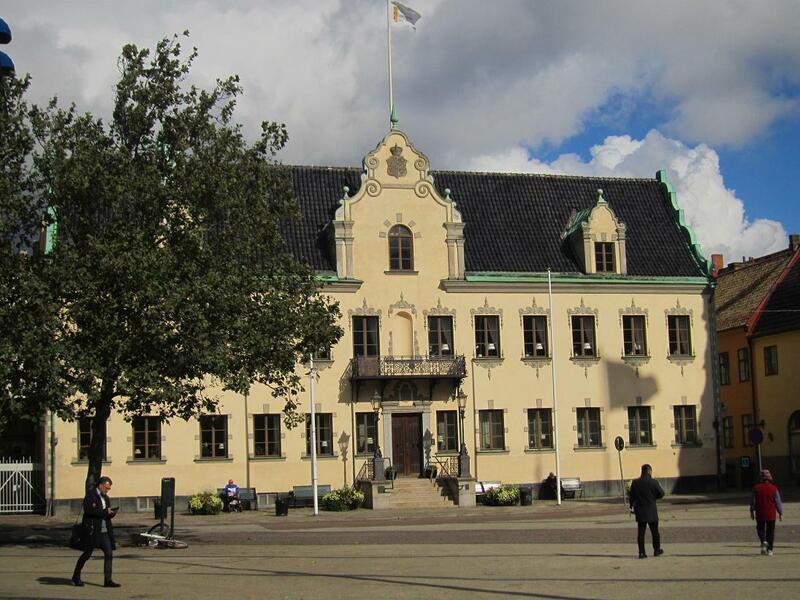 During another Russo-Swedish war during 1808-1809, he distinguished himself by crossing the frozen Gulf of Bothnia near Kvarken, which allowed him to surprise the enemy and seize the town of Umeå in Sweden. In April 1809, he was made full General and commander-in-chief of Russian forces in Finland. A year later, he became Minister of War, launching an important series of military reforms while planning for Napoleon’s invasion of Russia. 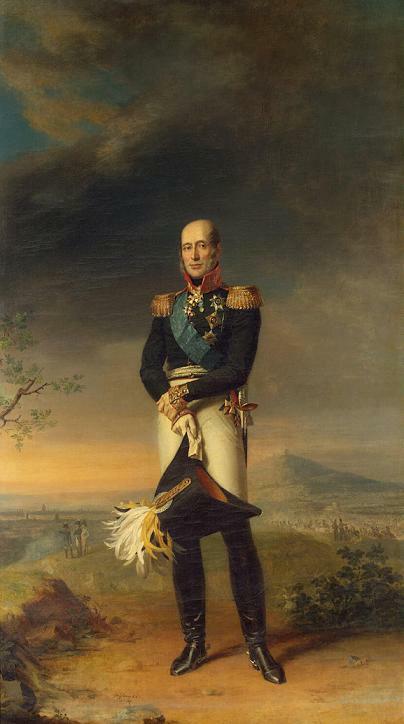 After his reinstatement of 1814, Barclay commanded the taking of Paris and was made a Prince of the Russian Empire during the following year. He died in Insterburg in Prussia in May 1818. 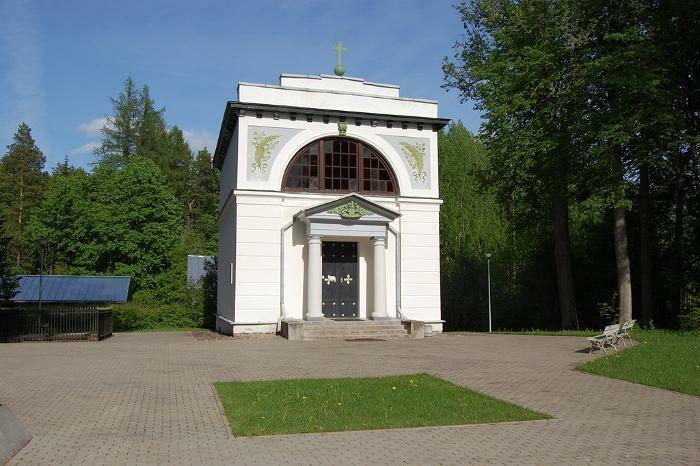 His body – and later that of his wife – was buried in the Jõgeveste Manor Cemetery in Estonia.